The other weekend my schedule was full with all sorts of commitments. I had a long run on Saturday morning which kept me out of the house from 7am to almost noon. Then Sunday I was gone all day on a day trip to visit some friends in NYC. It was a wonderful weekend and I enjoyed every minute of my activities (well almost every minute of my 18 mile run….). Plus, I knew L&H were in the wonderful, capable hands of their father doing all sorts of fun things – and not to mention bonding with him which is very important. But still, I could NOT shake a feeling of guilt all weekend. I felt guilty I wasn’t with them. I felt bad my husband was “stuck” on duty almost all weekend while I was out and about (again….I realize, running 18 miles isn’t really ‘out and about’ but it was my time to myself). I felt like I put them to bed on Sunday night and had missed out on a whole weekend with them. My mom guilt was OFF THE CHARTS. And I started to realize, it wasn’t just that weekend I was feeling guilty about. I’ve started to feel guilt sneak in to my daily routine more and more. L&H go to school three mornings a week – so I find myself feeling guilty when I’m not as present as possible while we are playing on the days they are home. Or I feel guilty if they annoy me — like as if the few hours they’re in school three days a week should suddenly make me immune to all annoyance. Because let’s be honest, even a SAINT would get annoyed at times with a toddler — it’s just a fact. Anyway, I’m noticing that “I should be…..” has become a common phrase in my daily conversations with myself (ADMIT IT MOMS – you all have inner convos…..) and others. Since I’m noticing it’s becoming such a common part of my mindset lately, I’m really working on combating my guilt. And I wanted to share the tools I’m using. Because whenever I mention mom guilt to another mother, every. single. other. mom. says ‘ME TOO!”. We all feel it. We all have guilt. So let’s fight it — and instead let’s use that mind space to celebrate the amazing moms WE ARE. Because even if we forgot to pack snack, or we left for a much deserved day trip with our friends, or because we scrolled our phone at the playground instead of cheering for the 50th time when your little one went down the slide…..WE ARE AMAZING MOMS. Here are some ways I’m using to fight mom guilt. What are tools you use to fight mom guilt? Comment below! Get a Mom Mantra – Be your own cheerleader and combat guilt by reminding yourself of how great you are!! If you’re having a tough day – or even want to celebrate a great day – use a mantra or affirmation to get yourself in a positive mindset. One of my favorite mantras is “I am doing my best as a mom, and that is enough.” When I’m having a bad day I often repeat to myself “One bad day (or moment!) does not make me a bad mom” or “It’s just a bad day, tomorrow will be better “. And on days when I’m busy and not able to be with L&H as much as I like, I remind myself “I need and deserve to do something to for ME!”. DO NOT COMPARE – In this day and age of social media it is impossible not to look at someone else’s page and not compare yourself. Actually who am I kidding, it can be impossible not to compare yourself to any mom or parent you see anywhere. I saw a great comic from Common Wild the other day which depicted the way moms often look at other moms and immediately decide “she’s a better mom than me”. But it’s not true. We are ALL amazing. We are ALL doing a very very very very (VERY!) hard job. We are ALL struggling at times. We are ALL awesome moms. Find Your Triggers – I find that days I’m busy/glued to my phone/emails I am filled with mom guilt at the end of the day. Being busy/distracted is a huge mom guilt trigger for me. Knowing this is a trigger for me – I make a big effort to unplug during busy times and focus 100% on the twins for a set period of time. And if my to-do list is out of control, I’ll buy myself 30 minutes by letting the twins watch a show (Little Baby Bum on Netflix is our go-to these days!) so I can run around like a mad woman and get a bunch of to-dos done. THEN knowing I’ve accomplished something I can take a breath and fully turn my attention to L&H. If you feel yourself bogged down by mom guilt, try to identify the root cause and take small steps to eliminate that trigger. Forgive Yourself – One day L&H were driving me nuts. They weren’t listening, they were getting into everything, they were being….full blown toddlers. And finally after a whole day of it – I lost my cool. I was cleaning up their toys for the millionth time and I smacked my head on a shelf….and I LOST IT. And while yelling at the world at the top of my lungs made me feel better in the moment, it ultimately made me feel like crap right after. I felt like a monster. I felt so guilty for yelling and losing my patience. But I realized, holding onto that guilt wasn’t going to help anyone….so I forgave myself for losing my cool, I took a deep breath, and I mentally hit restart. 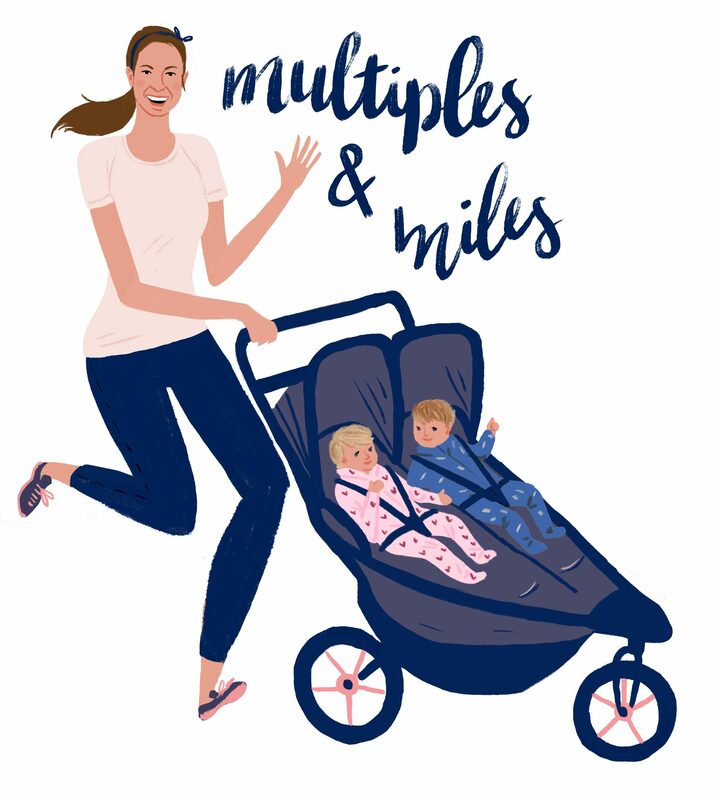 Lean Into Your Support System – When I’m feeling mom guilt about anything a really fast and fun (!) fix can always be found with my support system. I shoot a text to a mom friend and tell her what I’m feeling — and always I’m met with support, love, and usually a story of how she’s felt similarly inferior as a mom. Knowing others are feeling or have felt the same helps me not to feel alone. And then we both get to lift each other up by reminding one another how we are AWESOME MOMS. Win-win all around. You loosing your cool is not the end of the world. Mom is a human being. And Human beings have limits.